﻿Bisbee, Arizona has long been known for copper and turquoise mining, but few people know that some of its gulches and dry washes contain placer gold. 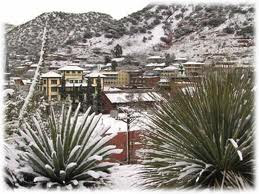 Although not a large placer gold producer, Bisbee has a recorded production to the tune of 2,500-3,500 troy ounces, with most of this recovered by "down-n'-outers" trying to eke out a living during the Depression years of the 1930s. Bisbee lies in the southwest corner of the "Grand Canyon State" not all that far from the Mexican border...a fact that doesn't exert a very strong pull as far as I'm concerned. 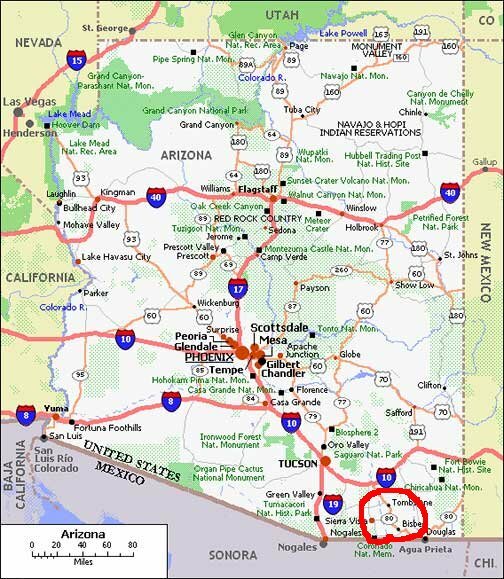 The well-documented trashing of southern Arizona by hordes of illegals and drug cartel violence aren't exactly Chamber of Commerce material in my mind. But hey, that's me...and I don't play the politically correct BS that typifies the moral cowards who seem to call all the shots these days. The gold-bearing geology of Bisbee placer gold is formed primarily from a conglomerate called the Glance Conglomerate. A conglomerate is basically a rock formed when a number of other finely grained rocks are bonded or fused together. Conglomerates can be mineralized and in the case of the Bisbee gold placers they exhibit the reddish brown color associated with iron sulphides (although I'm not sure if sulphides are the culprit in Bisbee's case). I've only worked gold-bearing conglomerates in one other location, and that's the "Potholes" District near Yuma, Arizona and Winterhaven, California...so they aren't all that common in my experience as a small-scale miner. 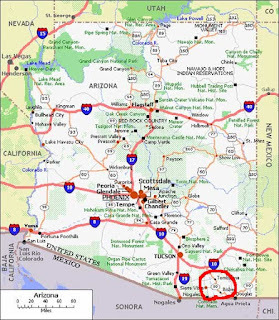 Although not true in every case, the majority of the gold placers near Bisbee trend north-to-south, or very nearly so. In the early 1900s (when the placers were first worked sporadically) and even into the 1930s, numerous small-to-medium sized nuggets were recovered but nowadays you can expect few of those. Some "chunkers" as well as flakes and fines dominate most placer gold recoveries at Bisbee today. Some of the best areas to check for placer gold near Bisbee are Gold Gulch, Glance Creek, and Mule Gulch, but nearly any of the drainages in the area are worth a bit of sampling time. The status of Bisbee's gold-bearing placers is most likely a mix of claims and federal, state, and private lands so do your research before heading down that way. If you liked this post, you may want to read: "Gold in California's Coastal Ranges (Part 1)"